Do I Need a Probate Lawyer to Protect My Rights in Orange County? FAQ: Do I Need a Probate Lawyer to Protect My Rights in OC, California? 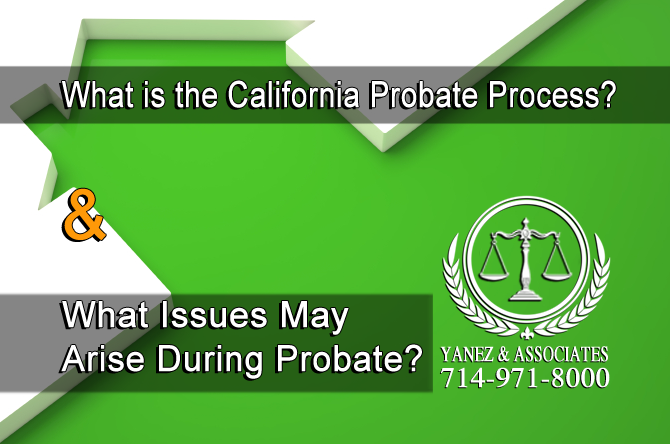 Probate is a legal process in California that is not meant to be complicated or time consuming - but it has the potential to be both. In some cases, families can avoid probate altogether, but sometimes avoiding probate requires a lawyer. However, probate attorneys may have extremely high fees in California. So, how do you know if you will need to go through probate, whether it will be complicated, or whether you need an attorney to get through the process? First, you’ll need to understand what probate is, and how an attorney could be able to help you. Then, you should meet with an attorney. A great probate lawyer can help you understand the law and how it may apply to your current situation. Many lawyers even offer free initial consultations, so don’t let the potential cost of a probate lawyer scare you from discussing your options with one. While no information that you read on the internet can replace legal advice from a professional, it is a good idea to educate yourself a little bit. Below, we’ll cover the basics of probate and probate lawyers. What is Probate and how does it work in OC California? In general terms, probate is a legal process in California that may be necessary after a person dies. 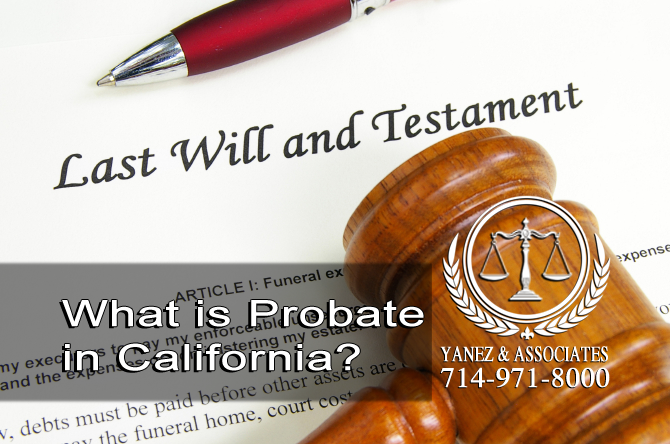 During probate, a person’s estate, including the person’s legal and financial affairs, are put in order according to either the person’s wishes or California probate law. Probate takes place in the Superior Court in the county where the deceased person lived. Some of the more complex probate proceedings can last more than six months, and some may take several years. When a person creates a will, he or she will name an executor in the will. The executor is responsible for ensuring that the terms of the will are are followed. During probate, the executor will file a petition with the Superior Court of the county to be appointed executor. Once officially appointed, an executor will make a list of all of the parts of the estate, including assets, debts, and property. The executor is responsible for paying bills, filing taxes, and managing and distributing all assets. After these issues are taken care of, another petition must be filed with the court requesting that the estate be distributed to the person’s heirs according to the will. Once granted, the estate can be distributed and probate ends. 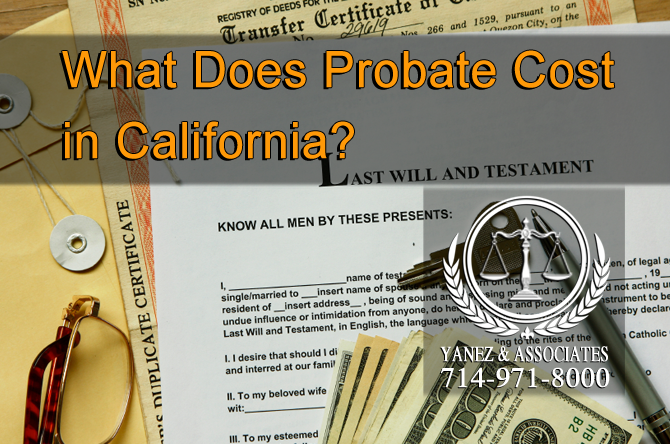 Is Probate Necessary in California? In some situations, probate is not necessary when a person dies. This may be due to certain situations, and it may be due to certain legal shortcuts that allow a family to avoid probate following a death. • When a person who dies while sharing an estate with another person, or a person who owns assets “in joint tenancy” with another person, probate may not be necessary because the other person already owns the property. • Property that was placed in a living trust does not need to go through probate, because it is the property of the trust and its beneficiary, not of the deceased person. The same is true for a revocable living trust. • California offers shortcuts, usually requiring the help of a probate attorney, to avoid probate. • Discuss options with an attorney - there may be other ways to avoid probate. • When a spouse or a legally registered domestic partner is to inherit, a Spousal Property Petition or a Domestic Partner Property Petition can be filed to simplify the process. • Small estates may not be required to go through probate. What is the California Probate Process? What Issues May Arise During Probate? What is the California Probate Process and What Issues May Arise During Probate? When probate begins, the executor of the will is responsible for initiating the process. If there is no executor named in a will, a family member may request to be appointed administrator, which is similar to executor and plays the same role, and, if that person does not face objection, the court will usually approve. However, it is possible that if there is no executor, a person may object to the appointment of an administrator, which may extend the probate process. Once an administrator or an executor has been appointed, that person will spend an average of six months to a year on his or her duties. First, the will and a form called a Petition for Probate will need to be filed with the court where the deceased lived. In California, the fee for filing is usually around $400. Then, the will must be validated, usually by having witnesses sign a statement for the court. Contesting the validity of a will is another part of probate that may cause issues, extending the length of the probate proceedings, and potentially requiring a lawyer. When a will has been validated, the executor has the authority to ensure that the terms of the will are followed, bills are paid, taxes are filed, and bank accounts are managed. The executor will need to have property appraised and settle debts. Some of these actions will require court approval before the executor can move forward. Once an estate has been maintained, it may be distributed according to the terms of the will. 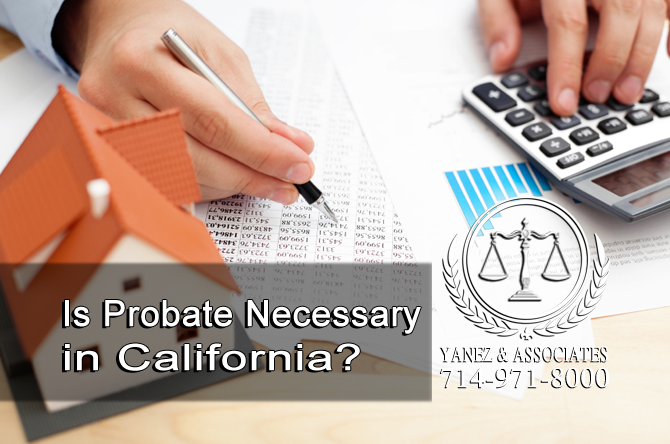 If there is no will, the entire estate will need to go through probate and assets will be distributed according to California probate law, which can be complicated and time consuming, and may not be what the deceased person wanted. How Can a Probate Lawyer Help me Through Probate in California? 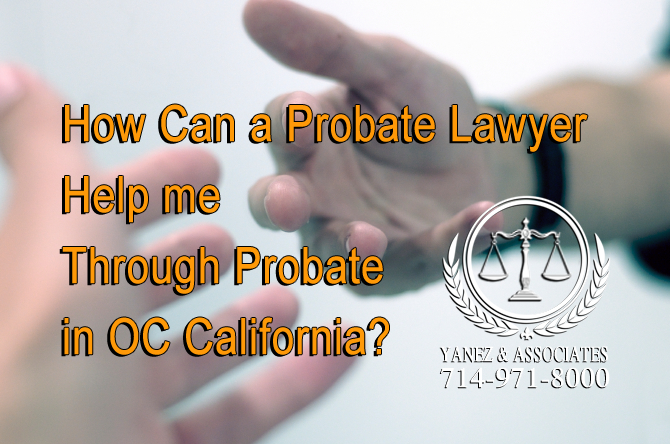 What are some ways an Orange County California Probate Attorney can Help me? In California, the probate process can be simple. Often, probate is a series of paperwork that needs to be taken care of. Working with a probate lawyer can help ensure that all paperwork is filed correctly and filed on time, especially if the executor has an emotional attachment to the deceased person. One of the most overwhelming parts of the probate process is getting organized in the first place - from gathering information and gaining access to all accounts and assets to paying bills and filing taxes. In addition to taking care of one’s own responsibilities, the executor has to make sure that they are correctly filing paperwork and looking after another person’s estate, all while living up to the standards of the law and the other people who knew the deceased person. A lawyer is a great resource, especially when estates are large and complicated. Even as a guide, a probate attorney can provide answers and advice to an executor in need - or just one who has never dealt with California probate law before. Sometimes, a probate lawyer can help you avoid probate altogether, but you will need to contact the lawyer as soon as possible. Common issues that arise during probate, like disputes over the validity of the will or lawsuits that arise from taxes or simply from family disagreements, can complicate things further during the probate process. A lawyer is always a great resource when any complications arise, because a lawyer offers an outside perspective, is not emotionally connected to the situation, understands the law, and can offer the best legal advice. A lawyer is also extremely helpful when there is no estate plan in place or when a will is declared invalid, and the estate is distributed according to California probate law. Disputes may arise and a lawyer can help protect the rights of the family. What is Probate going to cost me in OC California? Unfortunately, probate can be costly - and a probate lawyer can add to the cost of the process. Depending on the complexity of the case and the size of the estate, costs can vary. The first cost of probate is a filing fee that usually falls somewhere around $400. An attorney’s fees are limited by California law, and are generally a percentage of the value of the estate. However, until the estate has been valued, the attorneys fees cannot be determined. An executor also receives a sum from the estate for his or her duties. When an estate is valued to determine the attorney fees, debts are not included. Other fees might arise during the probate procedure. Hiring a professional to value businesses or appraise property can cost the estate. Sometimes, tax problems, lawsuits, disagreements, issues during the validation of the will, or other issues can arise during the process, and the cost of probate can increase. Contact the Orange County Probate Lawyers for a free consultation! Whether you are creating your estate plan, you are the executor of a will, you are an heir, or you have questions about the probate process, a lawyer can help you through it. Unfortunately, when an issue arises during probate, the person whose estate is contested is no longer available to make decisions or to share what he or she wants for the estate. A lawyer can help a family through a stressful time. Contact the lawyers at Yanez & Associates today to schedule a free initial consultation with an experienced probate lawyer in Orange County. 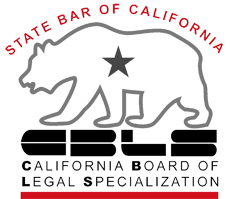 1 FAQ: Do I Need a Probate Lawyer to Protect My Rights in OC, California? 2 So, What is Probate? 3 Is Probate Necessary in California? 4 What is the California Probate Process? What Issues May Arise During Probate? 5 How Can a Probate Lawyer Help me Through Probate in California? 6 What Does Probate Cost in California? California Probate Attorney, Estate Planning, How Can a Probate Lawyer Help me Through Probate in California?, Is Probate Necessary in California?, OC Probate Lawyers, Orange County California Probate Lawyers, Orange County Probate Attorney in Orange CA, Orange County Probate Lawyers, petition to revoke probation, Probate, What Does Probate Cost in California?, What is Probate?, What is the California Probate Process?, What Issues May Arise During Probate?